I love getting to capture proposals. Witnessing and being asked to play a small part in photographing such a moving moment is a huge honour. 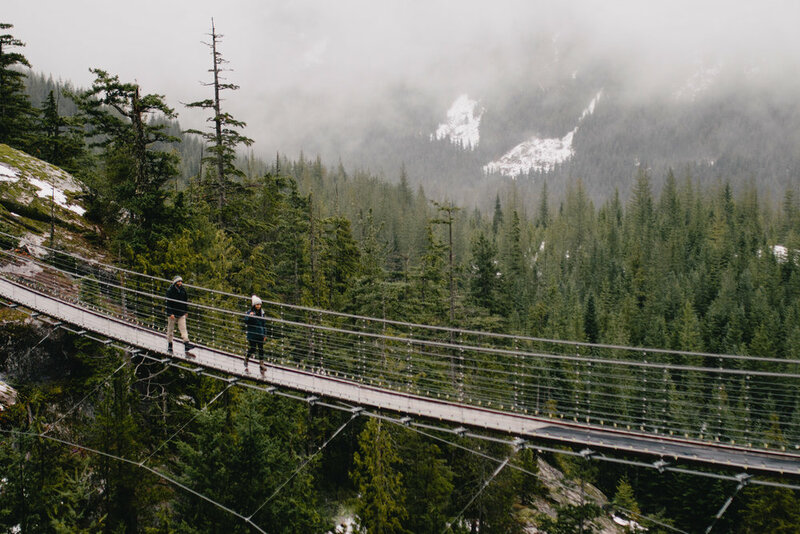 Rishank and Meghana flew up to Vancouver from Texas for a weekend away, spending some time in the mountains and amidst the fog-filled forests of the pacific northwest in late fall. 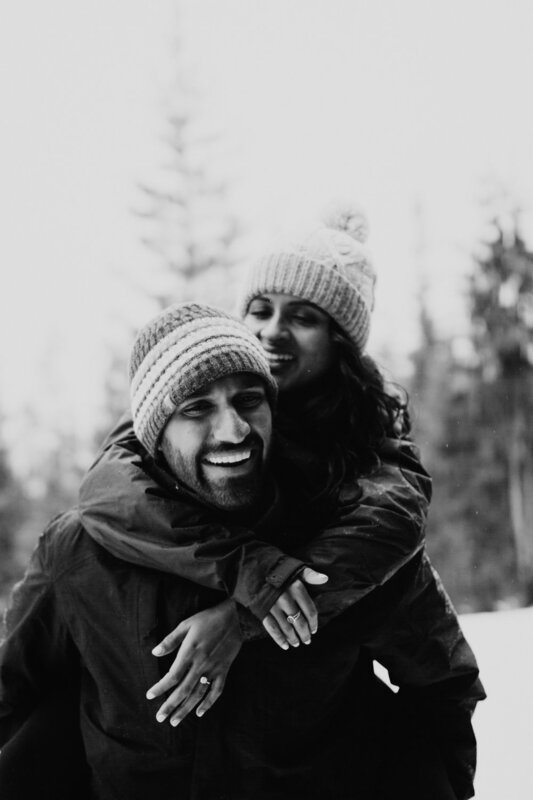 Little did Meghana know that Rishank had been planning to propose on this weekend for a while and had everything worked out. It was a beautiful day to be in the mountains. 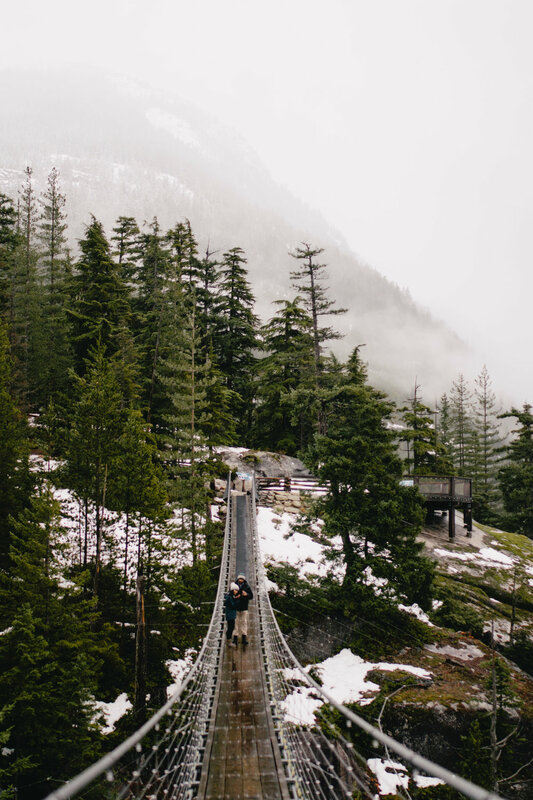 A little bit of rain with overcast skies and some wandering mist. 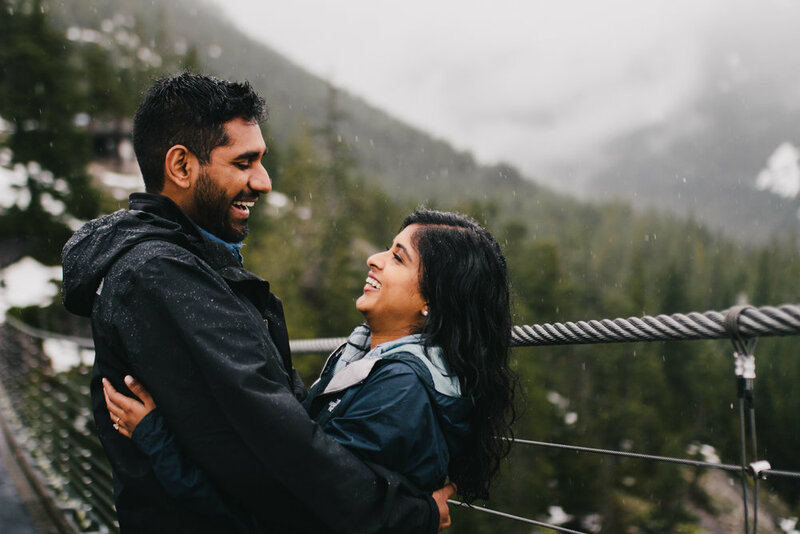 From the top of the Sea to Sky Gondola, Rishank got down on one knee and asked the big question. Needless to say, Meghana said 'yes' with no hesitation. The rest of the morning was filled with laughter, hot chocolate, and a few photos. Thanks for letting me be a part of this special day Rishank and Meghana!